The Cimarron Casino opened in 1996 as a bingo hall. It later introduced electronic gaming machines and expanded its gaming floor to 25,000 square feet in October 2013. More gaming machines and table games were added, as well as the Eagles Nest Cafe and the 4th Quarter Sports Bar. 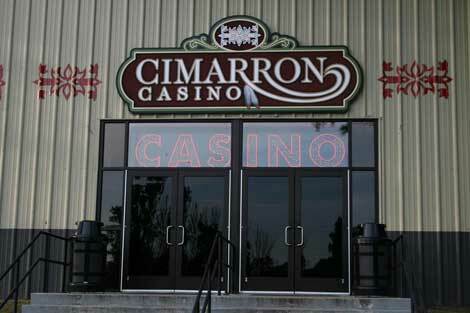 The Cimarron Casino is located 10 minutes south of Stillwater near the intersection of Hwy 177 and 33. Hours of operation: 7:00 am - 7:30 pm daily. Till 5 pm on Sunday. The first store the Iowa Tribe owned and operated.